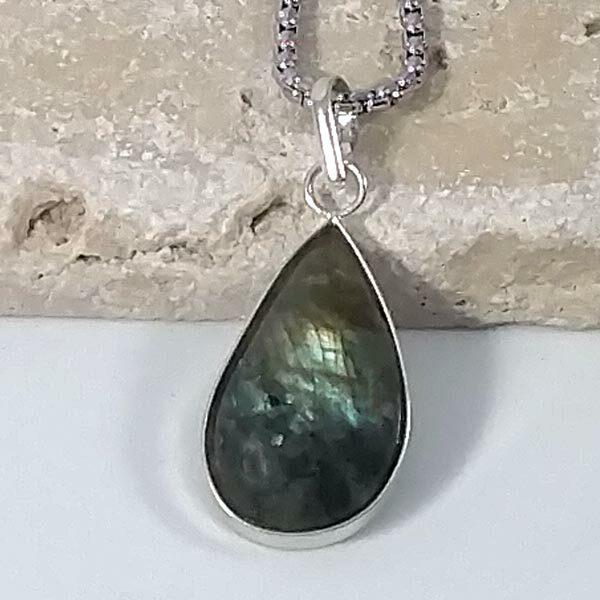 Assorted natural Labradorite pendants. Each is unique in its coloring, all are stunning and one of a kind. Sizes and shapes vary. You will receive the one shown when ordering. Chain not included, find them here --->. Made with Tibetan Silver. The oversized bales will also accommodate cords or ribbons and all have an open back design.. These are individually hand made in a rural village in India and have been purchased through fair trade. 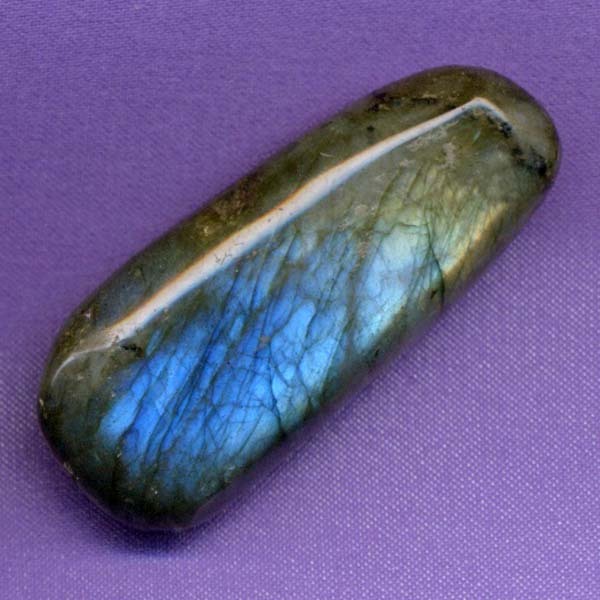 Labradorite shows us our goals and intentions as they really are. It also strengthens intuition and its transformation to intelligent thought.